Chondroitin Sulfate (TRH122). Exclusive Formula . Glucosamine (FCHG49). Help Your Joints Last Longer. Protect Your Cartilage with the Only Brand Proven to Reduce Joint Pain. The #1 Brand Recommended by Orthopedic Specialists. The Original Researched Brand. 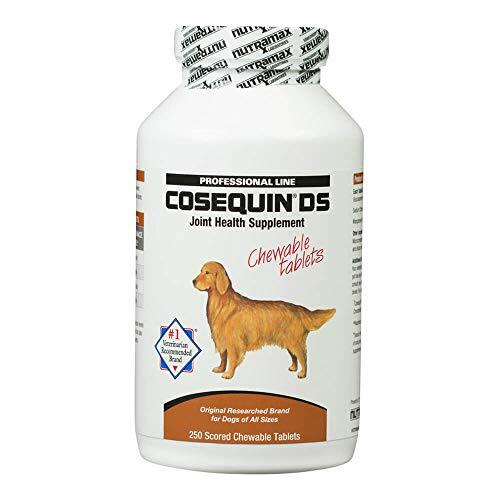 Cosamin DS Double Strength Joint Health Supplement is the #1 orthopedic surgeon and rheumatologist recommended brand of chondroitin sulfate/glucosamine. As a joint health supplement, Cosamin DS helps reduce joint pain and stiffness by using ingredients that are safe, effective, and easily absorbed. Cosamin DS is superior to all other brands and has been proven effective in published clinical studies. The ORIGINAL glucosamine/chondroitin sulfate product. The ONLY brand proven effective in controlled, published U.S. studies to reduce joint pain. Shown in laboratory tests to PROTECT CARTILAGE cells from breakdown. Contains the FULL CLINICAL STRENGTH of active ingredients?compare to other brands Manufactured in the United States following standards practiced by the pharmaceutical industry. Contains the proven low molecular weight condroitin sulfate and glucosamine combination not found in other brands There are no known interactions or serious side effects with Cosamin DS Exclusive ingredients allows reduction in the number of capsules taken over time. 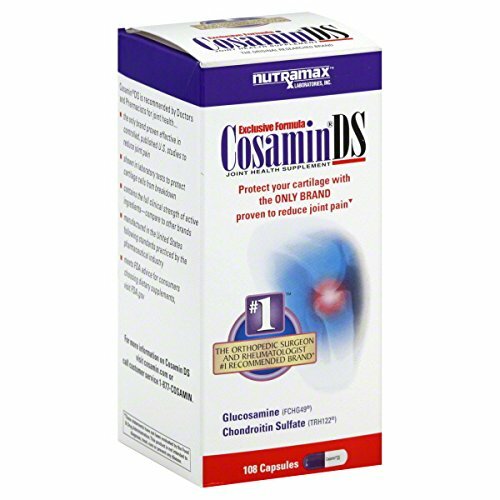 Cosamin DS for HUMANS is the #1 brand recommended by Orthopedic Surgeons and Rheumatologists. It's the only brand proven effective in controlled, published, U.S. studies to reduce joint pain. Only Cosamin DS contains researched 95% pure low molecular weight chondroitin sulfate (CS) and 99% pure glucosamine HCl. This exclusive combination has been shown to be more effective than either of the two ingredients alone! The difference in Cosamin DS is its low molecular weight CS, which is the approval CS used in European studies and has been shown to help safely manage joint discomfort. Why use an inferior brand when the researched material is available exclusively in CosaminDS No other U.S. brand can support and document the results like CosaminDS. 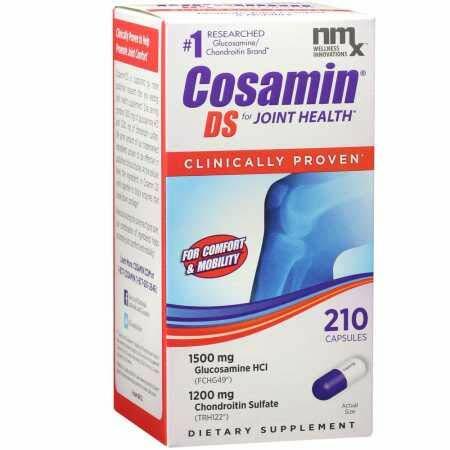 Only Cosamin DS contains the high purity, low molecular weight chondroitin sulfate selected by the National Institutes of Health (NIH) for a major clinical study. Cosamin ASU is a dual synergistic formula: its specific combination of glucosamine and sodium chondroitin sulfate have demonstrated synergy in stimulating cartilage production,1 while ASU also acts synergistically with glucosamine. One of our newest discoveries and our most potent formula for people with joint discomfort. ASU (Avocado/Soybean Unsaponifiables) is derived from avocados and soybeans and has been shown in laboratory research to inhibit components that result in cartilage breakdown. Ingredients shown in laboratory cell culture studies to work better than just the combination of glucosamine + chondroitin sulfate Contains decaffeinated green tea for antioxidant health benefits Cosamin ASU is an advanced proprietary formulation that combines NMX1000 avocado/soybean unsaponifiables (ASU) with Cosamin's FCHG49 glucosamine and pharmaceutical-grade TRH122 sodium chondroitin sulfate. 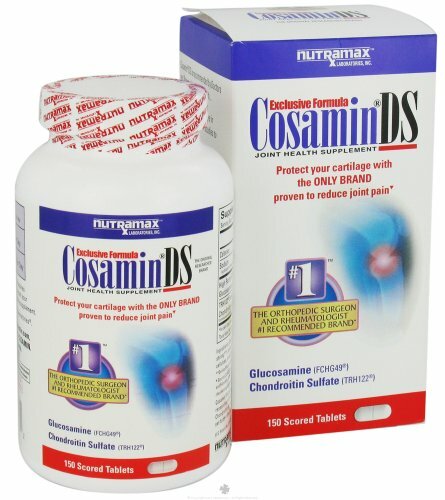 For over a decade, Cosamin DS has served as the premium joint health supplement on the market. By combining the exclusive ingredients found in Cosamin DS with ASU, Nutramax Laboratories, Inc. has made the best even better. CosaminDS Glucosamine/Chondroitin Sulfate Supplement, Double Strength, Capsules, 108 ct.